We breed in accordance with FIFe and Felis Danica's rules. Kittens from "Catci" are a minimum of 12 weeks before they leave home, always with FIFe pedigree, transfer, micro-chipped and EU-passport. Examined by our veterinary, fully vaccinate against: Cat Flu, Feline Leukaemia (FeLV), Chlamydia and rabies. 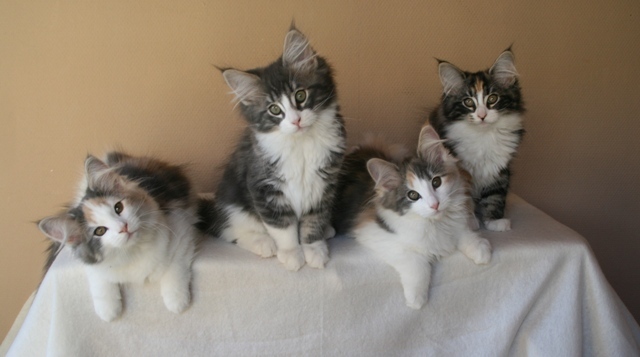 We sell kittens as pets and for breeding. If you want information's about our kittens, you're welcome to mail us.